In her sleeveless black gown, with rows of pearl at the neck and oversized sunglasses, Audrey Hepburn’s Holly Golightly defined understated elegance. Hers was the iconic little black dress. 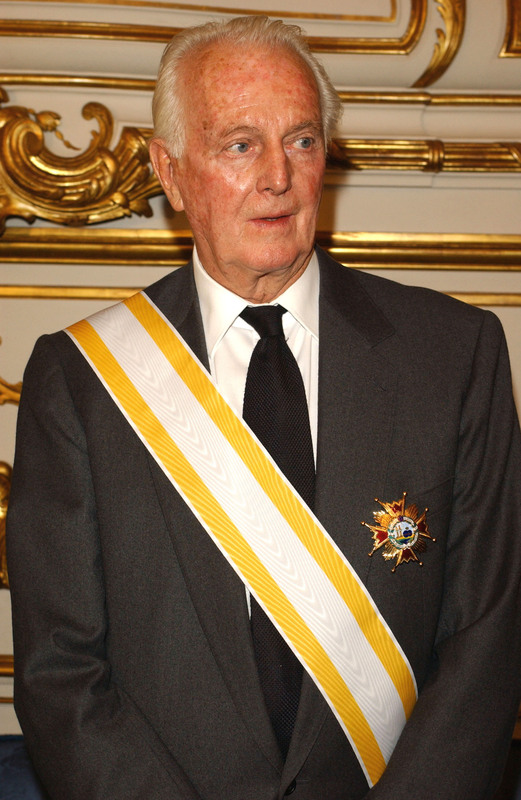 It was the work of Hubert de Givenchy, the French couturier who, along with Christian Dior, Yves Saint Laurent and Cristobal Balenciaga, redefined fashion in the wake of World War II. Givenchy the epitome of Paris chic. His death at age 91 was announced Monday. 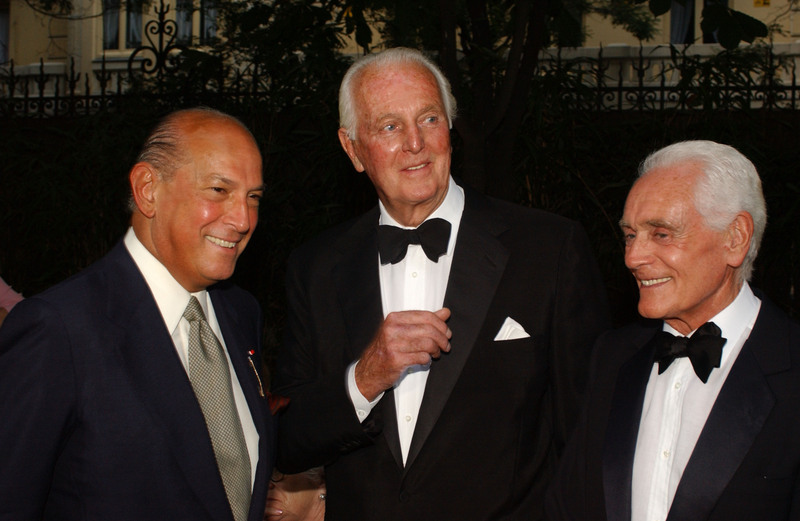 A towering man of elegance and impeccable manners, Givenchy forged close friendships with his famous clients, including Liz Taylor, Lauren Bacall, Jackie Kennedy and Princess Grace of Monaco. But none were as close to him or the fashion house that bore his name as Hepburn, whose simple chic became a kind of shorthand for the label. Besides the little black dress from the 1961 hit “Breakfast at Tiffany’s,” Hepburn wore Givenchy’s designs in nearly a dozen other movies, as well on the red carpet and also in real life. Born Feb. 21, 1927, in the provincial city of Beauvais, north of Paris, Givenchy was raised by his mother and maternal grandparents after his father, a business executive and amateur pilot, died when he was a toddler. His grandfather, an administrator of a tapestry workshop in Beauvais, cultivated the young Givenchy’s appreciation of the arts and honed his aesthetic sensibility. Early on, Givenchy set his sights on fashion — a career choice that left his family cold. After high school, he acceded to family pressure and joined a notary firm in Beauvais, but it didn’t last long. Givenchy struck out for Paris in his late teens, in the wake of World War II. Couturier Jacques Fath hired Givenchy on the strength of his sketches and he spent two years learning the basics of fashion design, from sketching to cutting and fitting haute couture styles. After a brief stint at the house of Piguet, he joined celebrated Italian designer Elsa Schiaparelli in 1949, leaving her to found his own house in 1952. Headquartered in a small room off the Parc Monceau, well off Paris’ famed Golden Triangle, the house of Givenchy proved an instant success. Working on a tight budget, Givenchy served up the floor-length skirts and country chic blouses in raw cotton materials normally reserved for fittings. The collection’s body-conscious shapes created a sensation among the fashion press and buyers used to the wasp-waisted, full-skirted “New Look” pioneered by Dior. Givenchy’s “Bettina blouse” — a concoction of white broadcloth with tiers of eyelet ruffles at the sleeves, which was named for his favorite model and publicist, Bettina Graziani — would go down in fashion history. In 1955, Givenchy relocated to the tony Avenue George V, across the street from his idol, Spanish-born designer Balenciaga. “Le Grand Hubert,” as he was often called for his 6-foot, 5-inch (1.96 meters) frame, became popular with privileged haute couture customers, among them Gloria Guinness, Wallis Simpson and Empress Farah Pahlavi of Iran. But the client whose name would become almost synonymous with the house was Hepburn, whom he met in 1953, when he dressed her for the romantic comedy “Sabrina.” Legend has it that Givenchy — told only that Mademoiselle Hepburn would be coming in for a fitting — was expecting the grand Katharine Hepburn. Instead the diminutive Audrey showed up, dressed in cigarette pants, a T-shirt and sandals. That encounter marked the start of a decades-long friendship that saw Givenchy dress the star in nearly a dozen films, making her the brand’s de-facto ambassador. “His clothes for me have always not only thrilled me but also given me so much confidence. I’ve worked in them, I’ve played in them, I’ve borrowed them, I’ve bought them,” Hepburn once gushed in a television interview. Aiming to reach a wider market, Givenchy launched a line of upscale ready-to-wear and accessories in the 1960s, and its commercial success soon enabled him to buy out his backers, making him one of a handful of Paris couturiers to own their own label outright. In 1988, he sold the house to French luxury conglomerate LVMH Moet Hennessy Louis Vuitton, the parent company of a stable of top fashion labels that now includes Dior, Celine, Marc Jacobs, Pucci and Kenzo. Givenchy retired in 1995, and was succeeded by John Galliano, Alexander McQueen, Julien Macdonald, Italy’s Riccardo Tisci and current chief designer Claire Waight Keller, the first woman to hold the post. Just last week she showed her latest collection in Paris, revealing a brooding and gritty side with razor shoulders and hulking coats. Former Associated Press writer Jenny Barchfield contributed to this story.